Sound Quality Analyzer provides tools for listening to your audio WAV files while you view the analysis. Filtering tools allow you to isolate various frequency ranges and modify the WAV file for auralization of sound quality properties. 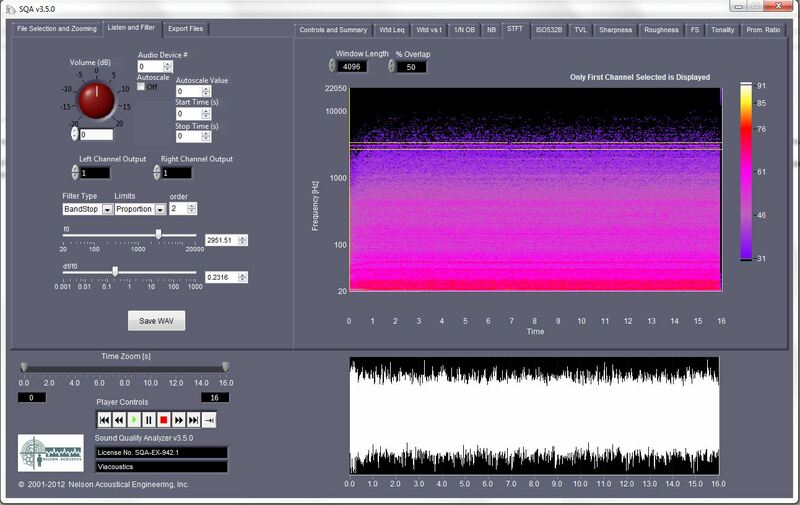 Sound Quality Analyzer provides an audio player that allows you to play your WAV files from your sound card while you view the signal processing analysis. Separate routing for two channel output allows listening to binaural recorded files. Filtered WAV files can then be saved for additional sound quality analysis.